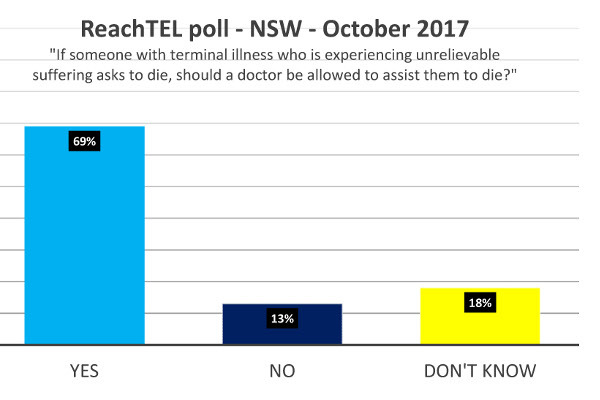 A NSW ReachTEL poll commissioned by Fairfax media, found that 69 per cent of NSW voters support a law that would give the terminally ill the right to end their lives with a doctor’s assistance. 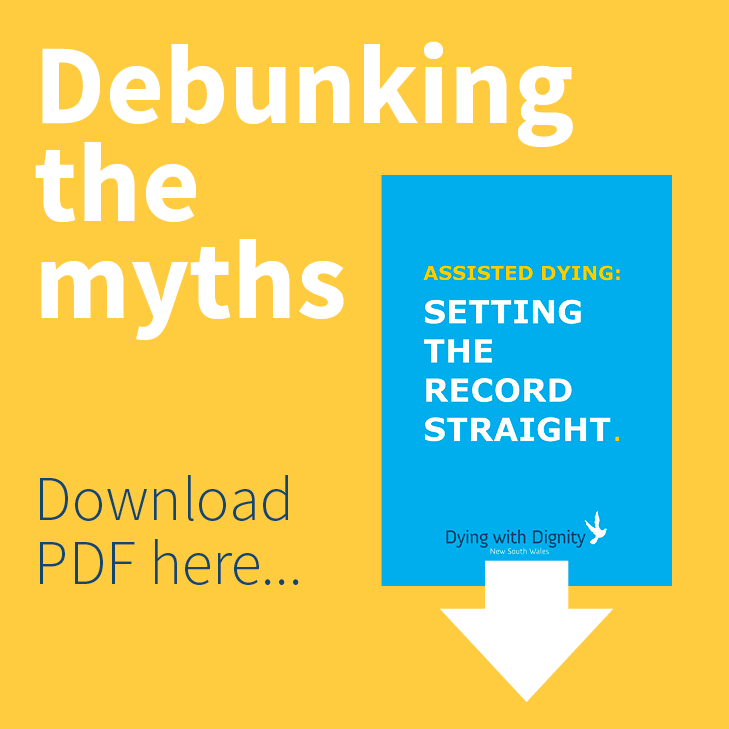 The poll was conducted on 5 October and results are based on a sample of 1650 people from New South Wales. According to ReachTEL, 13 per cent were opposed or strongly opposed, whilst 18 per cent of voters said they were undecided on the question.